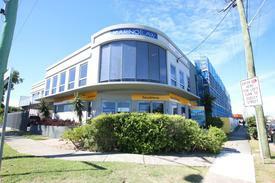 23 Commercial Real Estate & Properties in Mermaid Beach are listed in 4 categories. We have 14 OfficesSale & Lease , 6 Retail ShopsSale & Lease , 2 Hotels and LeisureSale & Lease and 1 Development LandsSale & Lease . 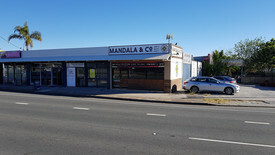 Retail Space In Mermaid Beach $2,400 inc Gst and Outgoi..
61m2 retail space Large reception area 3 x separate rooms kitchenette and storage Inspections available on request Approx Disclaimer: Ray White has not independently checked any of the information we merely pass on. We make no comment on and give no warranty as to the accuracy of the information contained in this document which does not constitute all or any part of any offer or contract by the recipient. Prospective purchasers / lessees must rely on their own enquiries and should satisfy themselves as to the truth or accuracy of all information given by their own inspections, searches, inquiries, advices or as is otherwise necessary. No duty of care is assumed by Orchid Avenue Realty trading as Ray White Surfers Paradise Commercial divisions toward the recipient with regard to the use of this information and all information given is given without responsibility. Professional Offices Overlooking The Gold Coast Highway At Mermaid $5,500 + outgoings + GST ..
Modern Executive Office $1,930 + outgoings + GST/.. Located on the Gold Coast Highway in a lovely building metres to the beach and adjoining park lands. 58m² first floor office Nice Mermaid Beach Building fronting the park and the Gold Coast Highway Close to Pacific Fair and Broadbeach Undercover off street parking plus council car park next door Modern and well presented Available 1st December. Call today and book an inspection! Modern Executive Office $1,933 + outgoings + GST/.. Located on the Gold Coast Highway in a lovely building metres to the beach and adjoining park lands. 58m² first floor office Nice Mermaid Beach Building fronting the park and the Gold Coast Highway Close to Pacific Fair and Broadbeach Undercover off street parking plus council car park next door Modern and well presented Call today and book an inspection! 266m2 of retail space Great on site parking Potential to split tenancies Grease trap connected Great open plan layout Suit multiple uses, enquire today Approx. Disclaimer: Ray White has not independently checked any of the information we merely pass on. We make no comment on and give no warranty as to the accuracy of the information contained in this document which does not constitute all or any part of any offer or contract by the recipient. Prospective purchasers / lessees must rely on their own enquiries and should satisfy themselves as to the truth or accuracy of all information given by their own inspections, searches, inquiries, advices or as is otherwise necessary. No duty of care is assumed by Orchid Avenue Realty trading as Ray White Surfers Paradise Commercial divisions toward the recipient with regard to the use of this information and all information given is given without responsibility. Mermaid Beachside Office $2,800pcm plus GST includ..
Let your imagination go wild! Large open plan area of approx 45m2 plus separate training room/conference room. Reception and administration area. 2 entrances and 2 car parks. Pleasant light and bright work environment. Cafe's at your door as well as public transport. 96m2 with 2 entrances if needed Across from Pacific Fair 2 allocated car parks Central convenient location Ready now! Brand new Mermaid Beach office development 190m2 to 1200m2 becoming available Various Ground and First Floor opportunities Inspections can be arranged Great exposure Several onsite car parks Secure your spot today call Renee now Approx Disclaimer: Ray White has not independently checked any of the information we merely pass on. We make no comment on and give no warranty as to the accuracy of the information contained in this document which does not constitute all or any part of any offer or contract by the recipient. Prospective purchasers / lessees must rely on their own enquiries and should satisfy themselves as to the truth or accuracy of all information given by their own inspections, searches, inquiries, advices or as is otherwise necessary. No duty of care is assumed by Orchid Avenue Realty trading as Ray White Surfers Paradise Commercial divisions toward the recipient with regard to the use of this information and all information given is given without responsibility. Freehold Retail Investment - Nobbys Beach Auction Thurs 2nd August ..
$118,844 current nett income 2 tenants, fully leased 435m2 land area; 334m2 lettable area Brilliantly positioned prime freehold premises Within the thriving Nobby's Beach beachside retail Precinct Major future rental upside, very conservative rent in comparison to recent lease rates in area Beachside position with massive Gold Coast Highway exposure Motivated seller will be sold! Auction Thursday 2nd August 2018 11am Gold Coast Turf Club Racecourse Drive, Bundall Please call Steven King on 0417 789 599 ( approx) Ray White has not independently checked any of the information we merely pass on. We make no comment on and give no warranty as to the accuracy of the information contained in this document which does not constitute all or any part of any offer or contract by the recipient. Prospective purchasers / lessees must rely on their own enquiries and should satisfy themselves as to the truth or accuracy of all information given by their own inspections, searches, inquiries, advices or as is otherwise necessary. No duty of care is assumed by Orchid Avenue Realty trading as Ray White Surfers Paradise Commercial divisions toward the recipient with regard to the use of this information and all information given is given without responsibility. 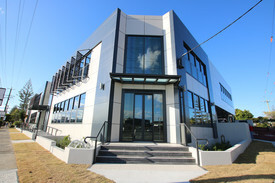 200m2 office space now available on the first floor 105m2 ground floor tenancy now available Existing fit out includes numerous offices, board room, reception kitchen Prime Gold Coast Highway location in Mermaid Beach, giving excellent exposure and client access 5 6 car parking spaces available for tenancy Call Renee today to inspect, will lease quickly Approx Disclaimer: Ray White has not independently checked any of the information we merely pass on. We make no comment on and give no warranty as to the accuracy of the information contained in this document which does not constitute all or any part of any offer or contract by the recipient. Prospective purchasers / lessees must rely on their own inquiries and should satisfy themselves as to the truth or accuracy of all information given by their own inspections, searches, inquiries, advices or as is otherwise necessary. No duty of care is assumed by Orchid Avenue Realty trading as Ray White Surfers Paradise Commercial divisions toward the recipient with regard to the use of this information and all information given is given without responsibility. Opportunities in this highly desired suburb do not come around often. 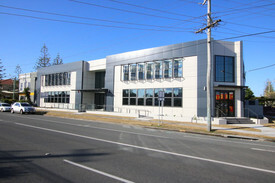 This Mermaid Beach office development is now complete with a number of areas now being leased. There are only few tenancies remaining. Office areas of 150m2 520m2 Onsite car parking Walking distant to coffee shops, retail shops and beach Onsite shower facilities Secure your spot today Approx Disclaimer: Ray White has not independently checked any of the information we merely pass on. We make no comment on and give no warranty as to the accuracy of the information contained in this document which does not constitute all or any part of any offer or contract by the recipient. Prospective purchasers / lessees must rely on their own enquiries and should satisfy themselves as to the truth or accuracy of all information given by their own inspections, searches, inquiries, advices or as is otherwise necessary. No duty of care is assumed by Orchid Avenue Realty trading as Ray White Surfers Paradise Commercial divisions toward the recipient with regard to the use of this information and all information given is given without responsibility.